Our store provides the essentials for those that left something behind. Our specialty is the biggest assortment of ice cream treats on the lake. We carry beer, wine, bread, and snacks. We also have what you need to catch “The Big One”. We sell fishing licenses, fresh bait, and the best lures, and provide hot spot information to let you know where the fish are biting. Everybody knows you can’t go home without a gift or souvenir for the ones left behind. 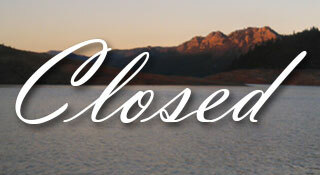 With that in mind, our buyers make available to you all things Shasta. From T-shirts to the latest fashion, don’t show up at home empty-handed. 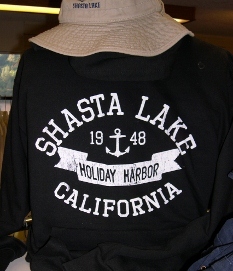 Take some time to browse the General Store & Gift Shop at Holiday Harbor during your visit to Shasta Lake!